I’ve made this several times and it’s always delicious! My friends beg me to bring it to “pot-luck” style gatherings!! It’s easy to make and always a hit! 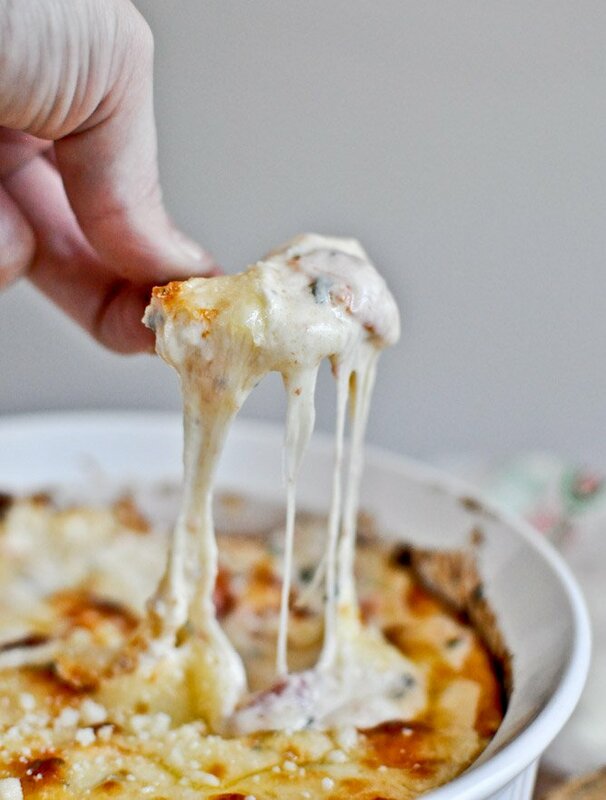 I can not wait to make this for New Years Eve! My mouth is already watering. HOLY MOLY! 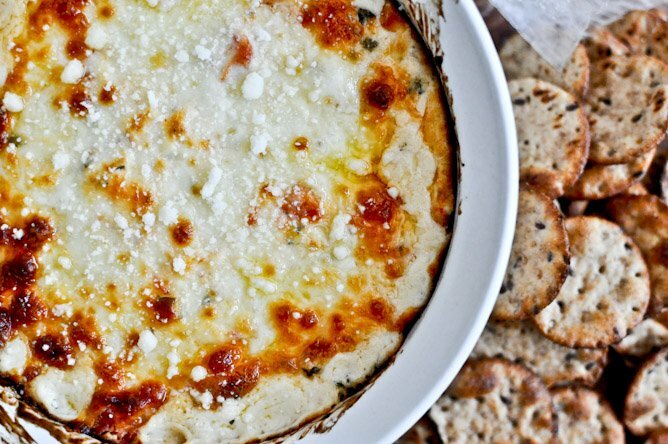 This looks amazing, and perfect for a football game day! OMG! My mother and I are cheese-aholics. I am going to try this! it sounds amazing. I actually don’t think I could love this more. Cheese is literally my favourite thing ever. Like, I am obsessed! This is amazing! I have rarely gotten the glowing compliments this dip elicited. Thank you for this recipe! I made this for my lunch party at work yesterday. To say it was a hit is an understatement! Everyone wanted the recipe….. 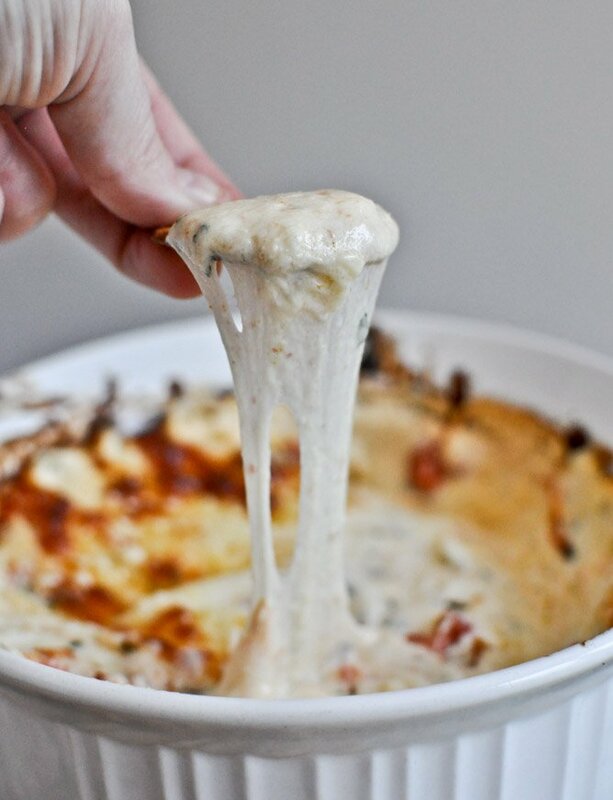 This dip is making me SO hungry…lol! I can’t wait to make it. BTW…What kind of crackers are those? 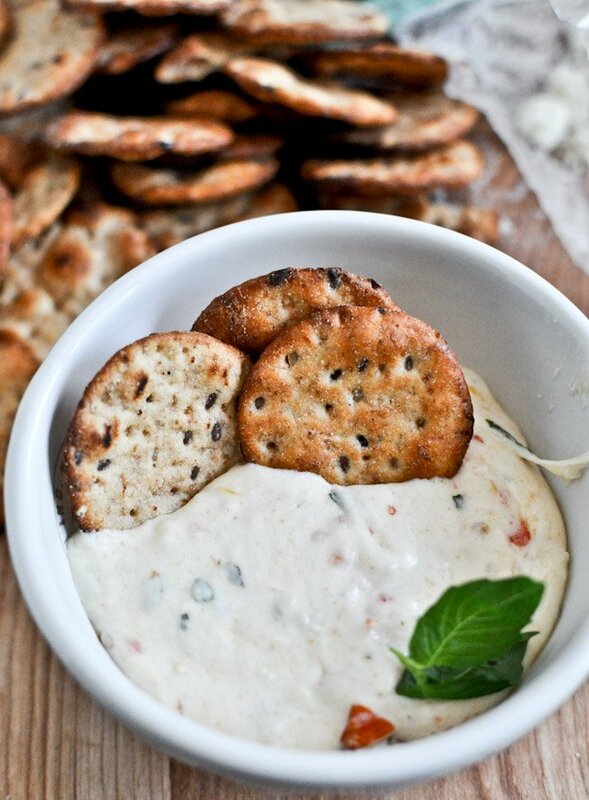 They look perfect for the dip. Sorry, what do you do with the tomatoes after they are roasted? Recipe doesn’t specify.